Assisted living is an excellent option for those who are growing older and need help with some daily tasks, but want to maintain a sense of independence. The diverse communities found in assisted living homes offer a great social outlet, since most of the residents are in similar situations. About 700,000 Americans currently live in residential care communities, and the popularity of this option is only going to continue to grow. But when is it time for assisted living? If you’re asking yourself this question, here are four signs for how to know when it might be time for assisted living. If a person has needs beyond their physical abilities or the abilities of their loved ones or caregivers, it may be time for assisted living, where the residents receive daily meals, onsite care and monitoring, medication administration, restroom assistance, housekeeping, transportation, and more. A bad fall could mean serious consequences for an aging person. Similarly, dementia or Alzheimer’s could compromise their safety. If you’re concerned about safety at home, assisted living could help to reduce or eliminate the worry. Those with dementia can become violent and agitated, especially as the day progresses. If this is something you notice in someone you’re caring for, it may be time to move them to an assisted living community. Family members and caregivers have a lot on their plate. Even if they’re taking care of their parent or spouse, it can be overwhelming and cause stress or resentment. 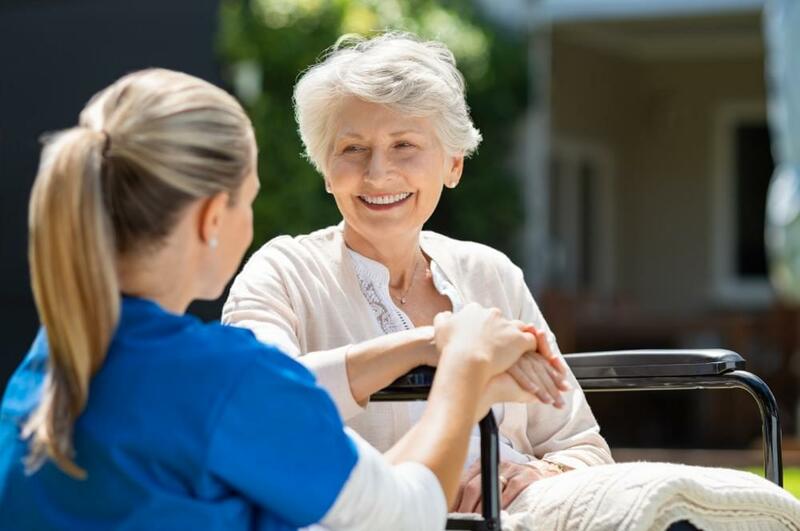 If you’re a loved one or caregiver noticing that the responsibilities are negatively affecting your life or your feelings towards your loved one, an assisted living community could provide a welcome relief. American Orchards is a premier assisted living community in Gilbert, Arizona. The facility is staffed with experienced nurses and close to rehab centers, highly rated hospitals, parks, shopping, and more. Learn more about the benefits of American Orchards or schedule a tour by contacting us today.